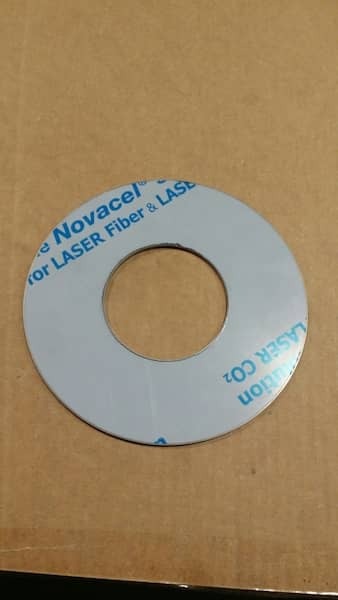 Need A Custom Cut Circle Or Ring Made Out Of Sheet Metal? You can configure and build your custom cut circle or ring online on our website. 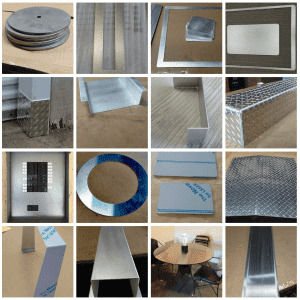 The sheet metal can be aluminum, steel or stainless steel. 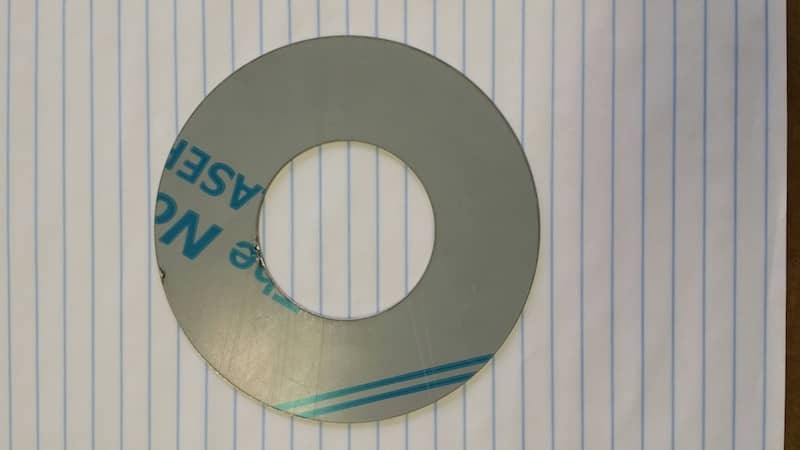 For you to configure or build your custom cut metal ring or sheet metal circle you will have to follow 4 easy to do steps. 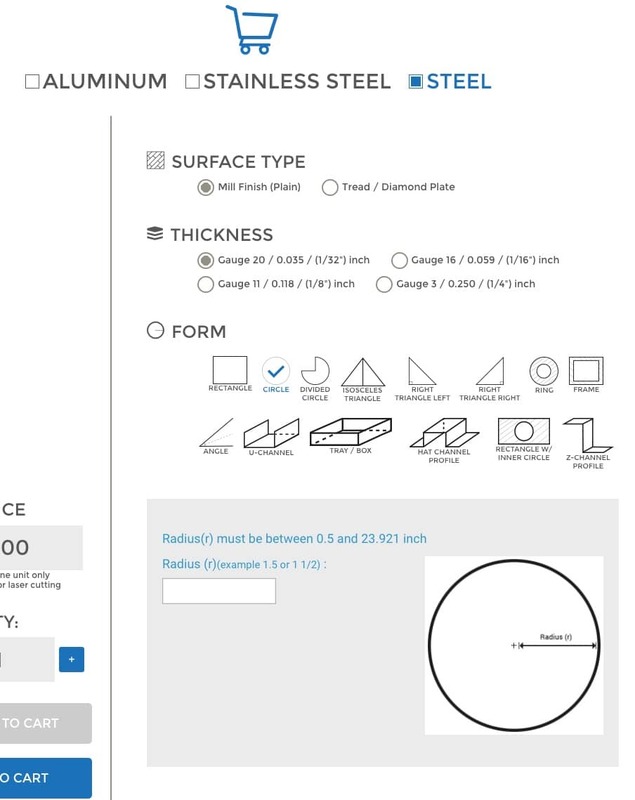 Here is a screen shot of our calculation webpage that allows you to configure 14 different shapes out of sheet metal. The shapes are geometrical shapes where you can specify the measurements you actually require. 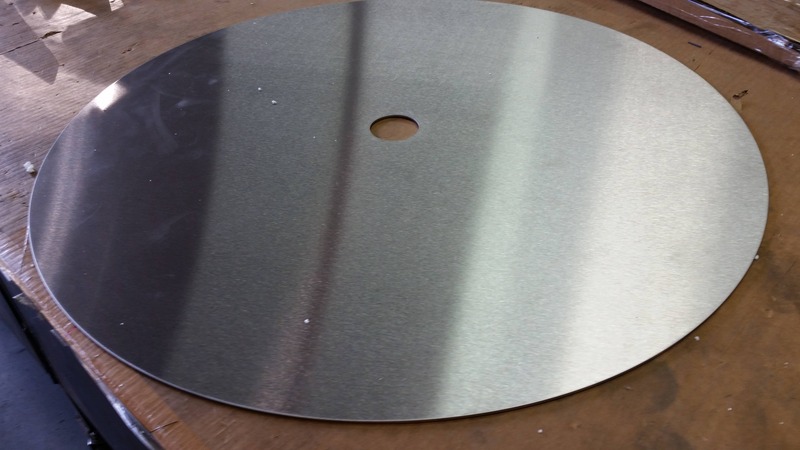 4 easy steps to configure your ring or sheet metal circle in the size you need. 4. Choose the shape your sheet metal part should have. Enter the size and or your measurements. It can't get any simpler to order sheet metal online. What's next, after the sheet metal order is received? Once the order is received, we are preparing to actually fabricate your sheet metal part you just have build and configured online. We fabricate to order. Nothing is sitting in shelfs to be picked and shipped right away. Your order is unique to us. Every order is handled in the same way and is fabricated once the order comes in online. 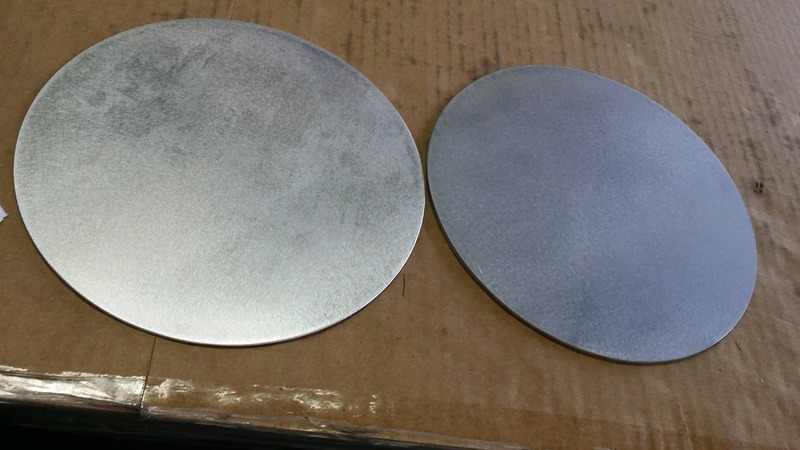 Here are some samples of what has been ordered in that last few weeks which were circles and rings cut out of sheet metal of different metal kinds such as stainless steel, aluminum and mild steel. As you can see there is no circle like the other and no ring like the other.